Part 1: Benefits of Abhyanga or Self-Massage with Oil. Here is one interesting information about Abhayanga or daily Ayurvedic body massage – it is blissfully relaxing and comforting, at the same time it is also recharging and rejuvenating. This means that Abhayanga can relax you, as well as gear you up for peak performance. I know it sounds like it does two opposite things at the same time but it truly happens that way. I will explain in this blog – best time to do Abhayanga and when NOT to perform Abhyanga. Abhayanga allows the body to absorb all nutrients from the oil and herbs into the body through the skin and assists the skin to eliminate toxins efficiently. If you perform Abhayanga daily it will always do these two things for you continually – absorb nutrients to heal the body and eliminate toxins to cleanse the body. Therefore this particular practice has the ability to relax you as well as give you energy. Note that it also depends when you are doing the massage or the time of the massage. In Ayurvedic practices herbal massage oils chosen for Abhayanga are usually known for their ability to strengthen the body and the mind. Therefore the benefits received from these Ayurvedic oils are twofold – one, nutrients from the base oils (sesame, almond, coconut or olive) and two, healing wisdom of the herbs mixed with the base oils. This is the reason Abhayanga can also enhance your endurance and energy while having the ability to relax you. Please take the dosha quiz/test to know which one is applicable to your situation. Vata dosha: If you always feel cold and have a very dry skin then use Vata pacifying oil to balance your dosha. Vata people suffer from anxiety, nervousness, fear and sleeplessness. If Vata dosha is out of balance then make sure you practice Abhayanga daily to balance the dosha. Use warm sesame seed oil (which is also known as the “King of Oils”) for Vata dosha. You can do the Abhayanga before you shower in the morning or at night before going to bed. Abhayanga done before a shower or a bath facilitates release of toxins accumulated overnight. Abhayanga performed before sleeping will promote restful and sound sleep. Make sure Abhayanga is performed in a warm room and you are comfortable. If you feel fatigued or exhausted Ashwagadha or Bala herbal oil is great as both of them can increase strength and stamina. I have personally used or given my clients ‘Mahanarayan oil,’ for Vata conditions. This is special oil made from 20 different herbs that supports joint function, flexibility, and pain relief. Pitta dosha: If you always feel warm or hot and experience skin inflammation then quite possibly you have to balance your Pitta dosha. Pitta people are usually hot headed, short tempered and becomes frustrated and angry easily. When Pitta dosha is out of balance apply cooling oils such as sunflower or coconut oil to restore balance. Perform Abhayanga before shower or bath to get rid of toxins and relax. In addition to doing Abhayanga in the morning one other thing you may want to consider is to applying oil in the scalp and soles of the feet at night. This can immediately relax the Pitta dosha and provide comfortable sleep. Brahmi herbal oil is perfect for this massage. However you need not to heat the oils for head massage. For most Pitta related skin condition or protection from excessive sun you can use neem oil. I have used it on clients who had eczema and they found it beneficial. Kapha dosha: If you are overweight, have a sluggish metabolism and suffer from lack of circulation in the body (always feeling cold) than you must consider balancing your Kapha dosha. 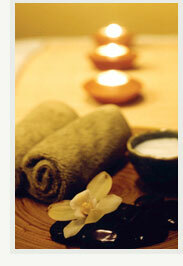 Oil massage can stimulate the detoxification process, be rid of the sluggishness and provide smooth skin. It is best to use Kapha pacifying herbal oil for balancing Kapha dosha. You can also perform dry skin brushing with essential oils. Use warm sesame seed, almond or olive oil if you want to practice Abhayanga if you do not have access to herbal oil. Do Abhayanga before taking a shower or a bath. 1. When pregnant unless otherwise permitted by a physician or Ayurvedic practitioner. 2. During menstrual cycle apply very gently do Abhayanga or avoid completely. The body is already detoxing during this time. 3. If you have cuts, bruises, broken bones, swollen and painful skin condition. 4. During acute illness or medical condition. You must wash these towels and sheets daily with baking soda and vinegar (if washing by hand) or use essential oils with your natural laundry detergent. Share this blog with your friends and family. Keep on following my blog and leave a comment if I have inspired you to do Abhayanga or Self Body Massage with Oil. Hi thanks for the tips. I was just wondering how to wash towels with using baking soda and vinegar as I have not done so before. I have a query regarding self abyanga. How should one remove the sweat and dirt accumulated on body from previous day ? If I just apply warm oil on body and massage , will the dirt not go deeper into skin. Is there any clean up process one can do before applying warm oil on body and massaging. Also, how to wash off the oil post massage. Using plain warm water doesnt really help. Do you recommend the use of any mild soap or body wash ? If so, which one. I would really like to get started with self abhyanga , I am just seeking some answers before I begin. Kindly help me with the queries. Dear LJ, did you know that oils are cleansers themselves? If you ever wear make up and use oil to remove make up you will know what I mean. If you showered the day before and you do a gentle massage it is fine. Take a warm bath and use a glycerin or castile soap to clean your body. Bath after abhyanga often helps to get rid of dirt. During pregnancy –You can’t do abyanga unless and until specifically advised by your physician. During Menstrual cycles –Do abhyanga gently or don’t do at all. The body naturally goes naturally through detoxification process during menstrual cycles. Don’t do it If you have swollen skin, cuts, bruises, wounds, broken bones. Thank you so much for the information. I am 8 months pregnant and have been applying abhyanga oil since last one month. I read that abhyanga in third trimester will help to deliver baby easily. But here you have mentioned that abhyanga should not be done during pregnancy. If you know how to massage at last stage of pregnancy and if your doctor is ok with it – then go ahead. It is really good to reduce stretch marks. But not allowed at early stage. Depends on individual. Once you have done your massage and in the shower, do you wash the oil off your face with a face wash or is water fine? Would you them recommend putting a moisturizer on the face after? Dear Alicia – I do self massage with warm oil, leave it sometimes even for 1 hour before I shower (a personal choice) and use castille soap to take my shower. After which I use body butter or chemical free lotion or coconut/almond oil again to moisturize. Could you possibly explain if it is important to have a shower after abhayanga? I have been doing this self-massage for 2 months without a shower, I just avoid using too much oil and as I live in a cold climate the oil is not a problem because I have several layers and only the layer next to my body gets dirty; also I dont like the idea of having a shower because my vata will get cold when I go out after abhayanga and shower and I want to avoid getting cold. When you do a simple oil massage, the leave for at least an hour before showering. What about gingelly oil shouldnt it be used for anything? It is also very good to add. Will have a good smell too. Very well explain the benefits of abhyanga, the best time to do abhyanga, All the three parts self-massage oil, dosha specific oil and the best time to do abhyanga are explained very well and so informative for me because I am suffering from body pain it helps me a lot for my treatment, Thanks for the post!